Packing for a destination wedding can be a bit more stressful than getting ready for a wedding at home. 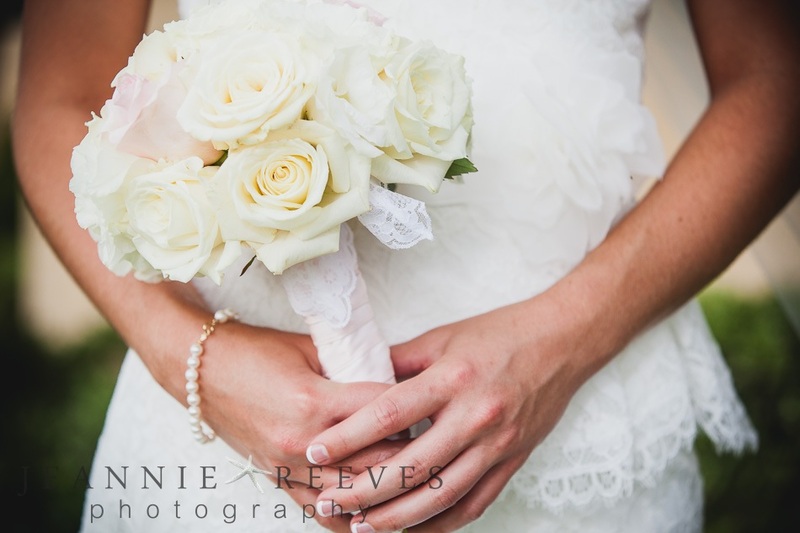 Unlike having a wedding close to home, often times you cannot just run home (or to the store) and pick up important items that you may forget for your big day. 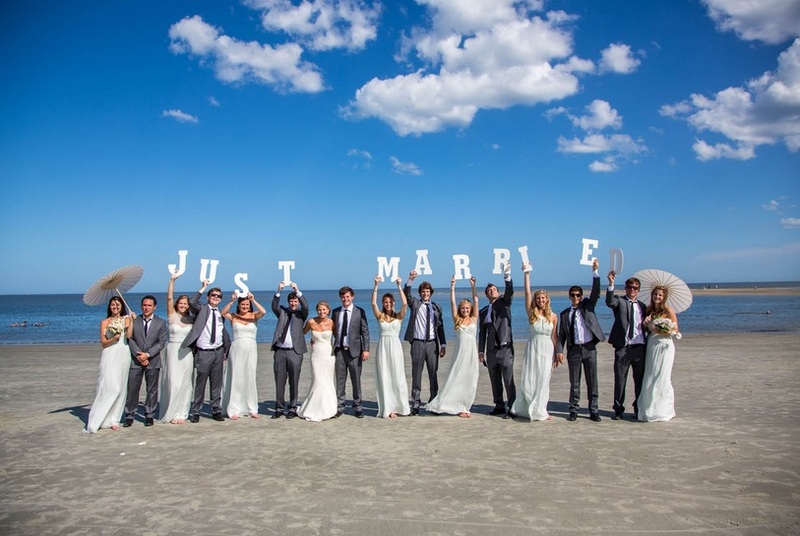 Read on to learn important tips from our wedding experts to make sure you don’t leave anything important behind. 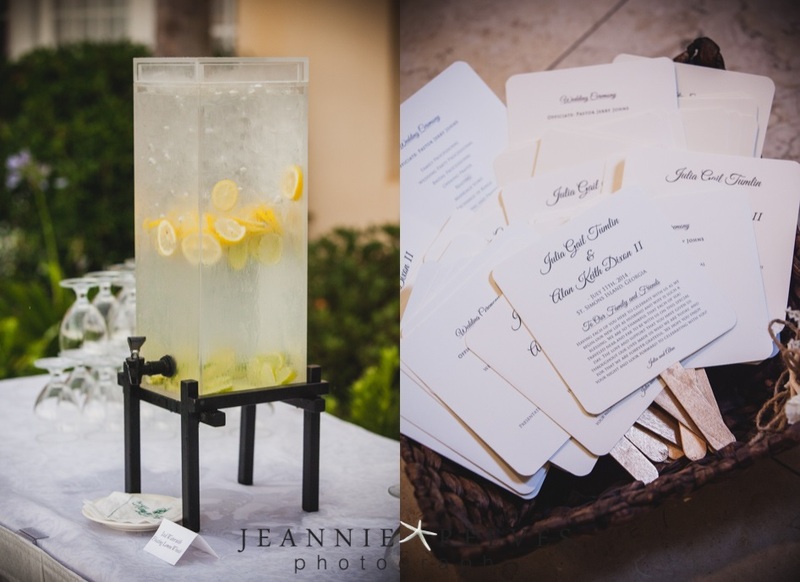 Make a list, check it twice…or even three times…Lists will really be your best friend when packing for your destination wedding. Have a friend or relative check your list to make sure you aren’t forgetting anything. Once you are all packed up, keep that list with you so you don’t forget to pack anything for your trip home! Keep makeup minimal– especially if you are going somewhere warm…and don’t forget your sunscreen. If you have sensitive skin, make sure you pack your own sunscreen and moisturizer. 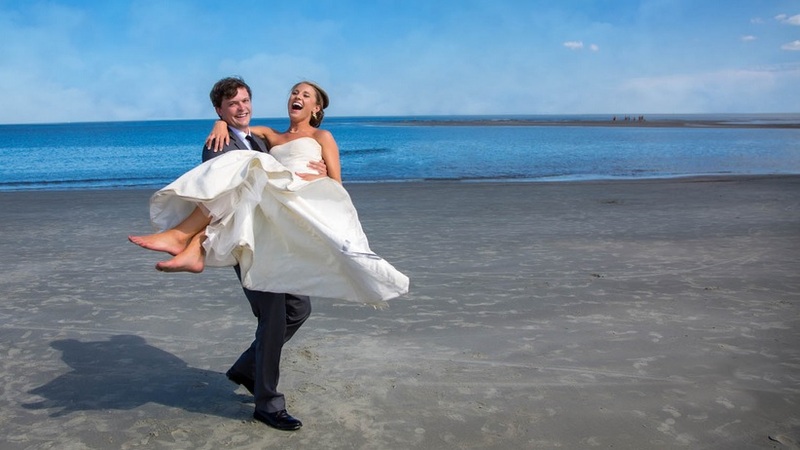 The last thing you want is to have a reaction to your sunscreen the day of your wedding. Do you really need ALL of those shoes? Shoes can take up so.much.room. Do yourself a favor and put a few pairs back in your closet. We promise that you won’t miss them…and you’ll have a bit more room for more important things. Carry on your wedding dress. Do not check it! This is probably one of the most important tips we can give you. Baggage fees and overweight bags can add up quick. Instead of going over the weight limit on your bags, pack an extra one and pay the extra baggage fee. You will usually pay less for an extra bag than you would for over stuffing your luggage and paying the fee. Also, instead of flying with your extra wedding gear, ship it to your destination, pay a few extra bucks to have it insured and track it. It’s more likely to make it to your destination and not be late. 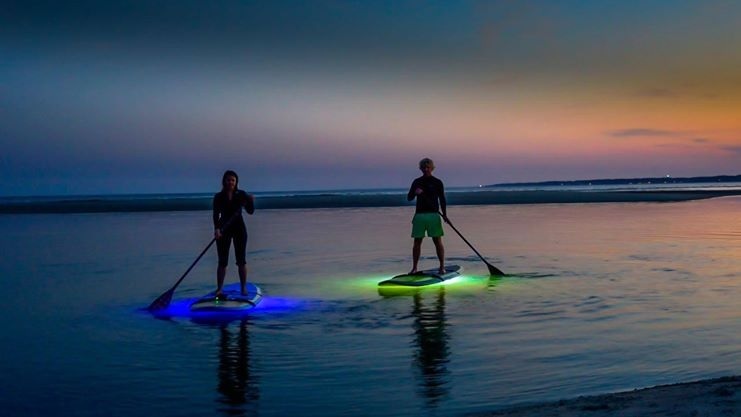 First Friday in Downtown Brunswick: Friday, August 7th- Take a stroll down Newcastle Street & Gloucester Street in downtown Brunswick and visit the shops, restaurants and galleries that call the port city home. There will be live music from local musicians, restaurant specials and art openings. “A Little Light Music” Island Garage Band: Sunday, August 9th at 7pm on the lighthouse lawn- Bring your friends and family, pack a picnic and enjoy an evening under the stars while listening to live music at the ocean’s edge. Admission is $12 per person. Children under 12 are free. End of Summer Arts & Crafts Show: Saturday & Sunday, August 22nd & 23rd in Postell Park on St. Simons Island- Explore and shop a variety of arts and crafts from painting to pottery to jewelry and more! The festival will be open from 10am-5pm both days and admission is free! 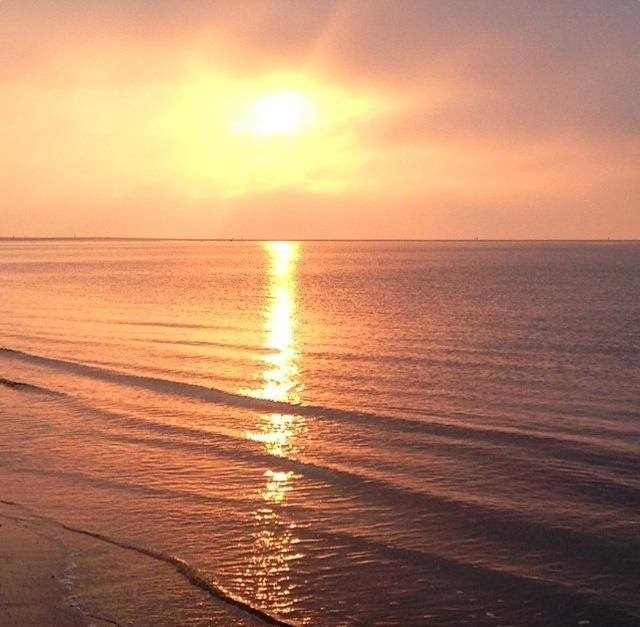 “Sounds by the Sea” with Pier Pressure: Sunday, August 30th 7-9pm at Neptune Park on St. Simons Island- Formerly “Jazz in the Park”, this is a summer concert series hosted by The Golden Isles Arts & Humanities which showcases the best musicians our area has to offer! 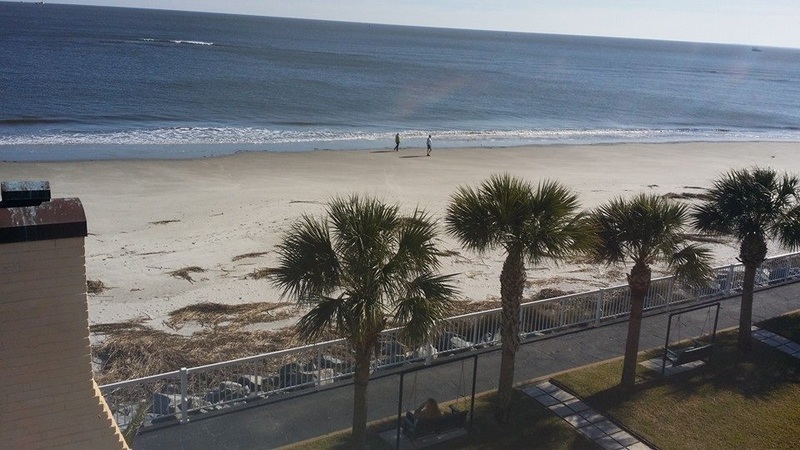 Pack a picnic, bring your lawn chair or blanket and your friends and spend the evening relaxing while you listen to music and feel the cool ocean breeze. Tickets are $10 for adults and $5 for children ages 6-12 (children under the age of 6 are free). For more information, visit their website. 5. 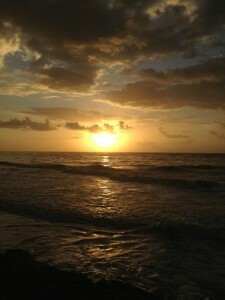 Spectacular Sunrises & Sunsets. Even if you aren’t a morning person, we recommend waking up early and watching the sunrise. 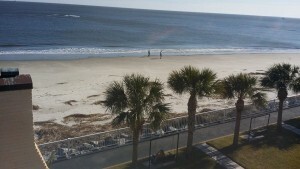 You can view it from the beach, from our pool deck or even from your oceanfront balcony! Although you can sometimes catch a gorgeous sunset from the resort, the best place on the island to catch one is from the pier in the village. 4. Golf. 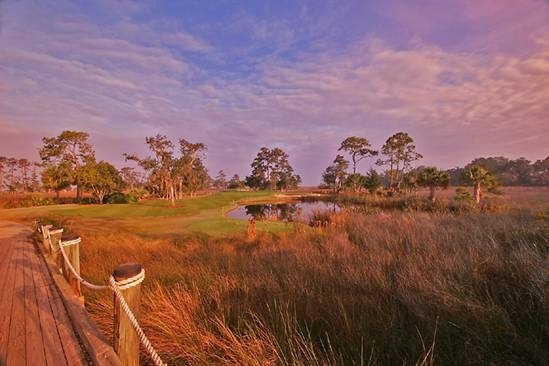 With over 200 holes of golf to be played on St. Simons Island and the surrounding areas, the Golden Isles are a golfers paradise! The King and Prince Golf Course on the north end of St. Simons offers some of the best golf around and they often have specials available for resort guests! 3. Delicious Food. With a variety of options to choose from, you will never leave the island hungry! 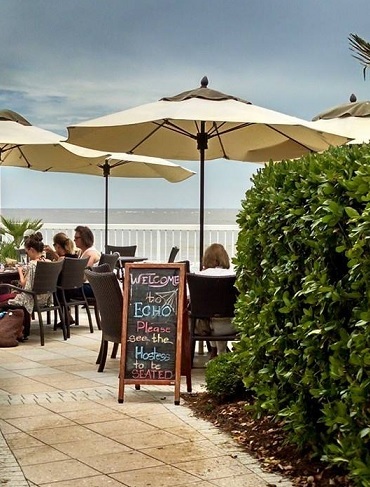 From Italian at Tramici, to coastal cuisine at Halyards and Crabdaddys, to award winning BBQ at Southern Soul, to oceanfront dining at it’s best at ECHO, you will find delicious food around every corner. 2. Pristine Beaches. Our beaches are relatively undeveloped. You will not find high-rise buildings along our shore. Just seaside cottages and homes. We have small waves which are perfect for young swimmers and our shores littered with footprints…..not trash. 1. Outdoor Activities. There is something for everyone to enjoy on our small island. We have miles of bike paths around the island, golf, fishing, paddleboard lessons and rentals, kayak tours, parks for the little ones to enjoy and even a shrimp boat you can hop on to explore our waterways! 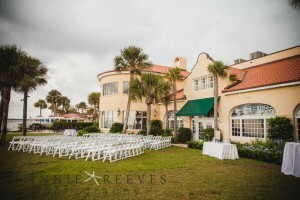 Why Our Georgia Resort For Your Meeting? 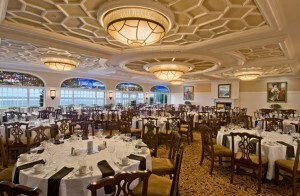 Meeting planners have a large list to check off when choosing a resort to host a meeting or conference. Usually, the most important factors on their list are cost, location, Wi-Fi/Internet access, meeting room capacity and number of hotel rooms. Our oceanfront Georgia resort is able to meet the needs of not only the meeting planners, but attendees as well. Our historic resort has hosted thousands of meetings and convention through the years. We have accommodated groups ranging in size from 5 to 400 and the types of groups and conferences we host cover everything from church groups to state and government meetings, association conferences and company retreats. We know what is important to meeting planners, so here are just a few reasons to book your next group or conference with us! Cost- With hotel rooms ranging from a standard room with a queen bed all the way to a 5 bedroom home (and everything in between) we are able to offer hotel rooms at many different price points for our guests. Our sales managers are also wonderful at their jobs and can help you find the dates that will meet your price range. 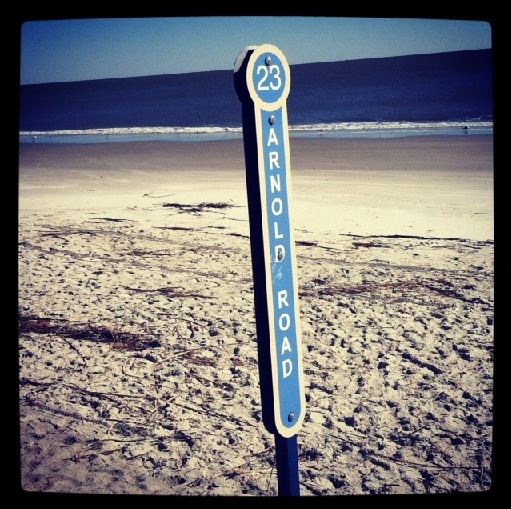 Location- We are an hour from Jacksonville International Airport and an hour and a half from Savannah/Hilton Head Airport. Brunswick Golden Isles Airport also has flights daily from Atlanta and it is a great option, as the airport is just minutes from the resort. 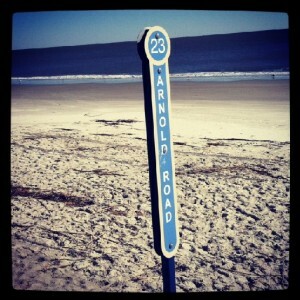 Along with several airports close by, we are also 20 minutes from I-95 which makes us easily accessible from anywhere! Wi-Fi and Amenities- Internet access is very important to our business travelers and for that reason, we offer complimentary wireless Internet across the resort….and even on the beach in front of the resort! We also have a business center with printers for those last minute printing needs. ECHO is our onsite bar and restaurant and it is a great place to meet with friends or co-workers after a day of meetings. Looking for live music? 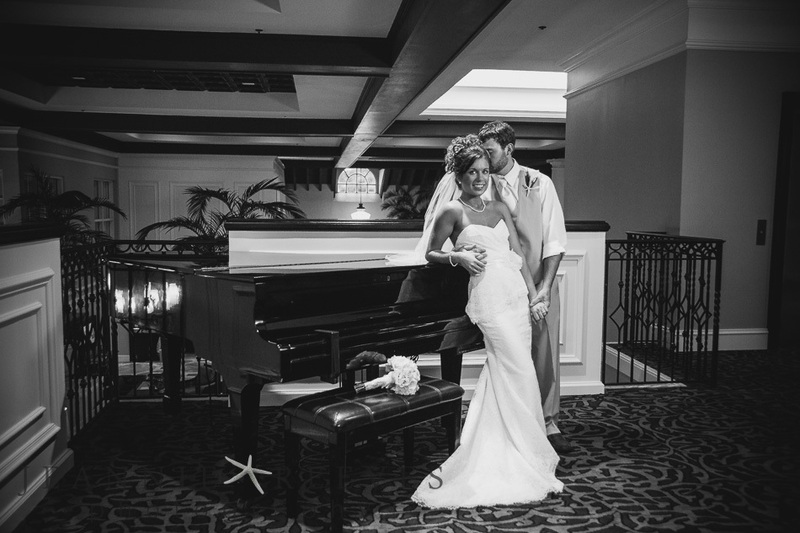 Just take the elevator down to ECHO where we offer live music throughout the year! Need to relax? 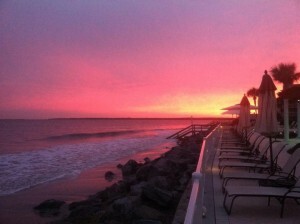 Step outside to 4 oceanfront pools or go for a jog on the beach in front of the resort. 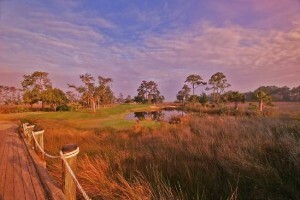 There is also an 18 hole golf course at the north end of St. Simons Island that is owned and operated by the resort. For more information about hosting a meeting or a group at The King and Prince Beach & Golf Resort, visit our website. 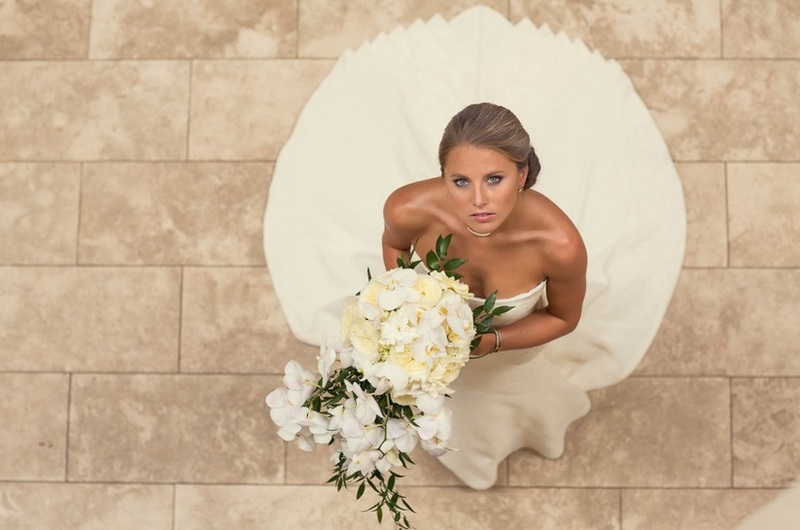 They say that the bride should wear “something old, something new, something borrowed and something blue” on her wedding day but we know a lot of brides these days don’t go the traditional route. 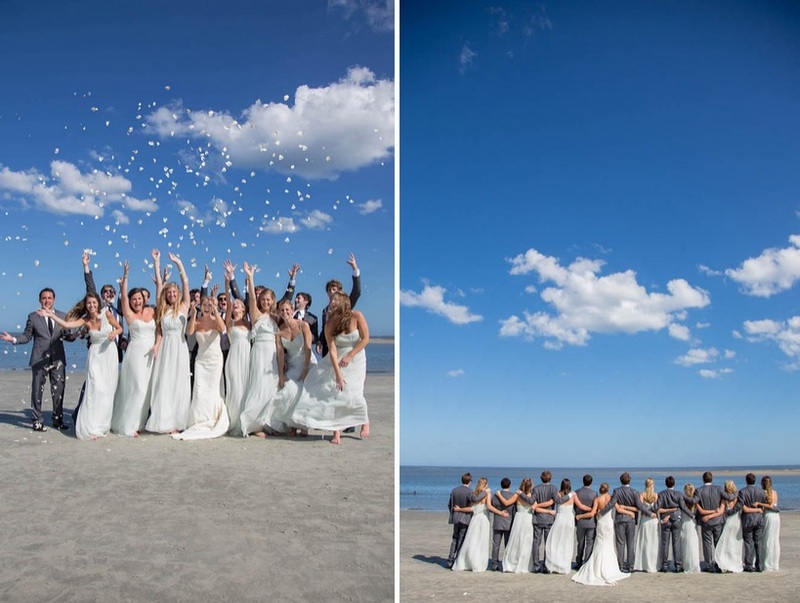 Here are some of our favorite unique ways to incorporate blue into your wedding day! For more wedding tips, visit our website. 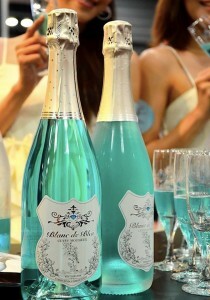 Blanc de Bleu adds a unique twist to your toast! This blue sparkling wine with a hint of blueberry flavor is the first of it’s kind in the United States. It’s such a fun way to add blue to your reception! These Finn peep toe pumps from Badgley Mischka will add some sparkle and color to your look. 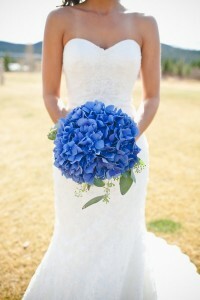 We love the contrast of this blue hydrangea bouquet against the bride’s white dress. 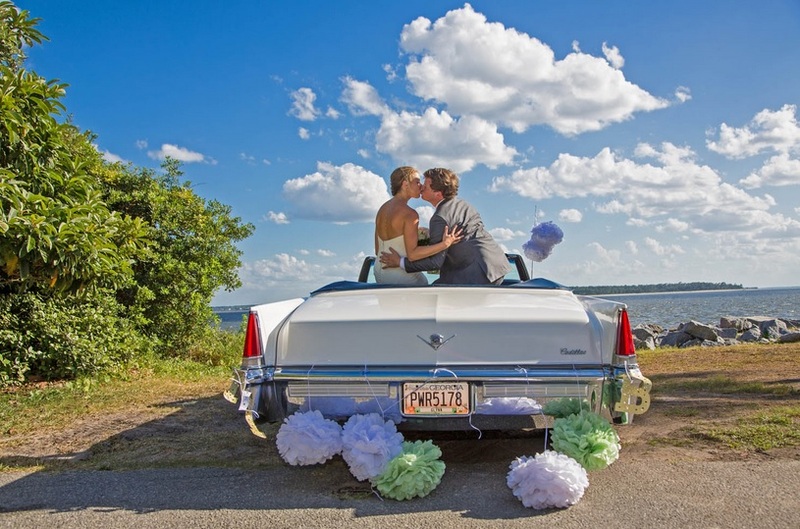 Make your blue sweet by adding it to your wedding cake. 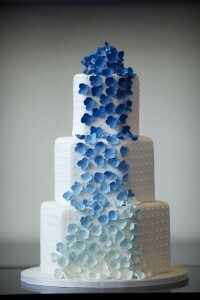 This ombre blue floral cake from Amy Beck Cake Design is a feast for your eyes and taste buds! 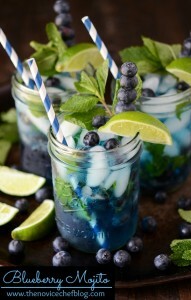 Since your wedding day is about celebrating, we know you will eat, drink and be merry….how about serving up some blueberry mojitos for your guests? 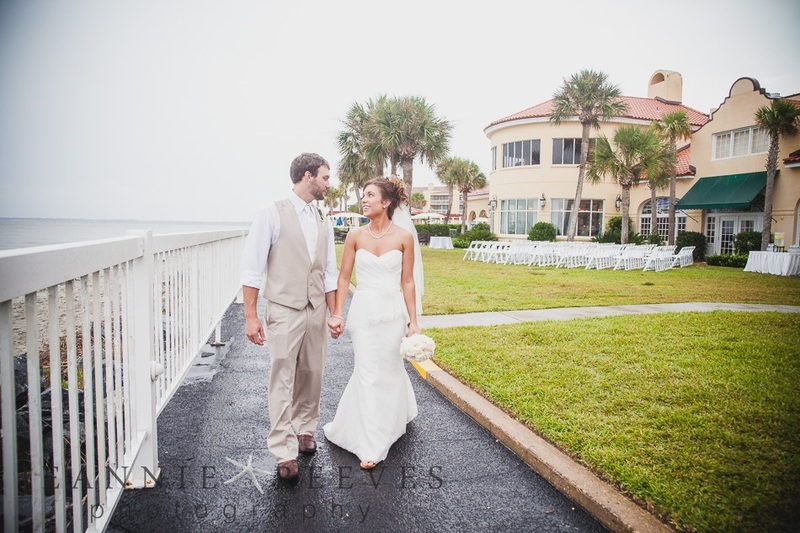 Mary Liz and Barron’s ceremony took place at Lovely Lane Chapel with a reception at The King and Prince Beach and Golf Resort. 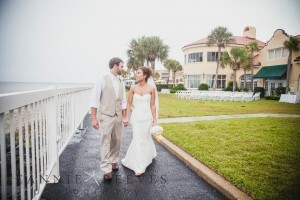 The resort and the beach created a beautiful backdrop for their special day. Thanks to Peacock Photo & Video for capturing these unforgettable moments. 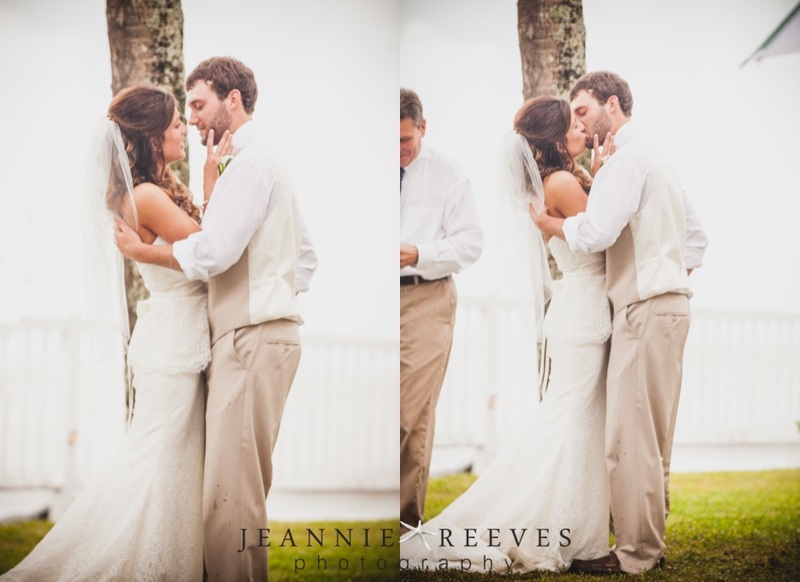 To see more of Mary Liz & Barron’s photos, visit Peacock Photo & Video’s blog.